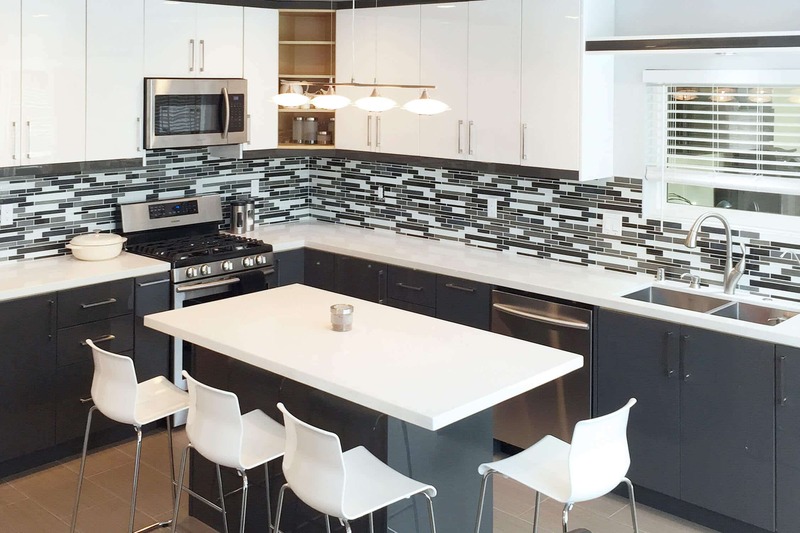 The High Gloss Charcoal is something you really have to see and feel to believe. 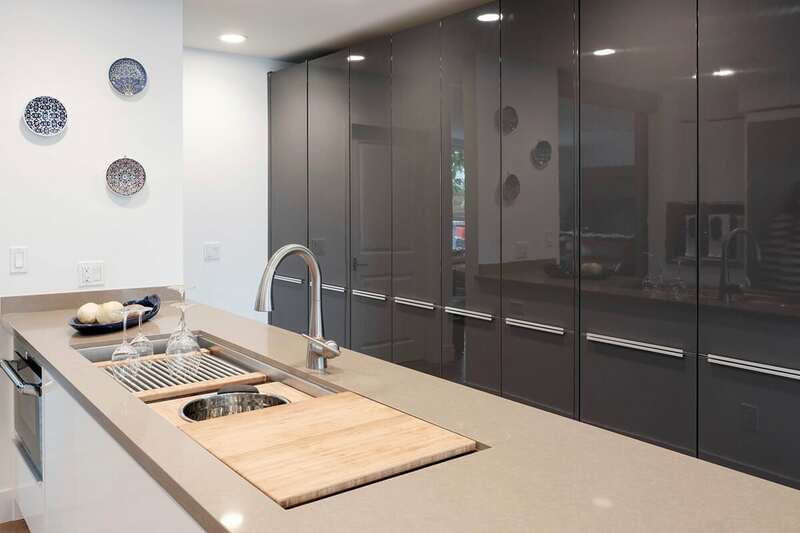 As the name should imply, our High Gloss Charcoal is a deep dark gray. 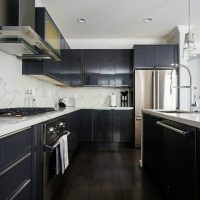 Both beautiful and understated, the charcoal achieves a darker color for your kitchen that excites your senses rather than leaving the morose feelings you would expect from such a dark gray. 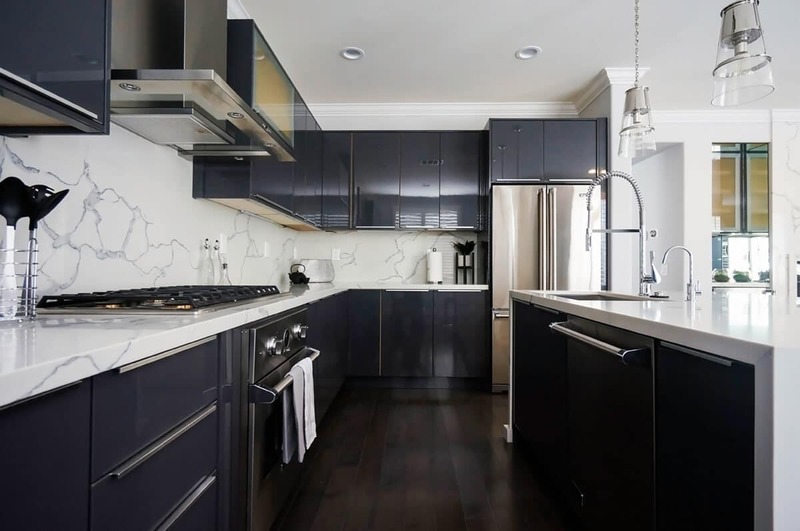 The epitome of modern cabinets; the Charcoal Gloss is neither flashy nor garish but its smooth panels will absolutely catch your eye. 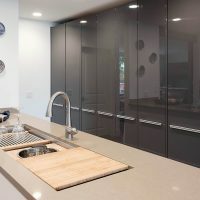 The strength behind this unflinching gray will work for cabinets in professional settings just as well as your kitchen at home. 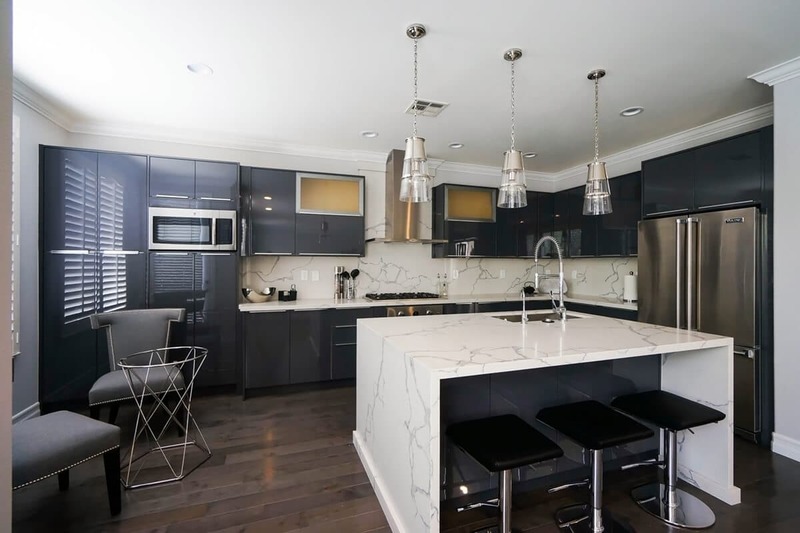 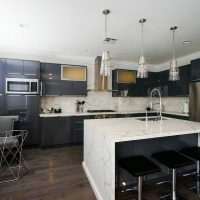 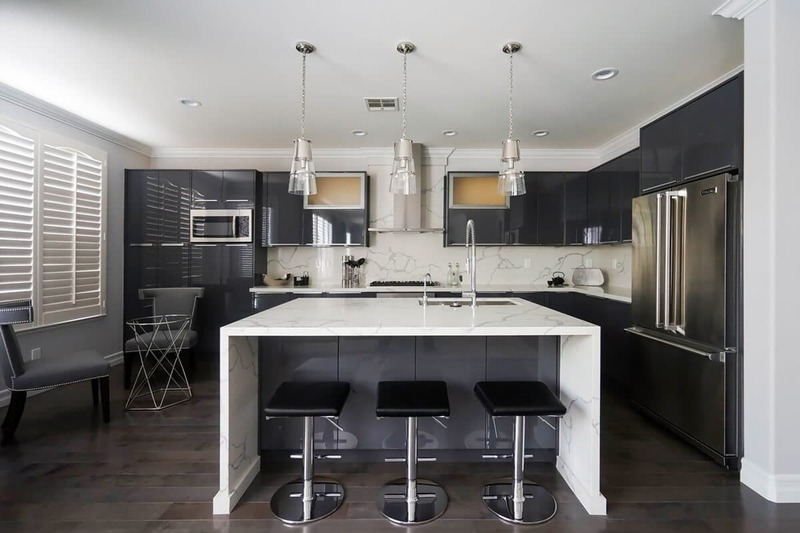 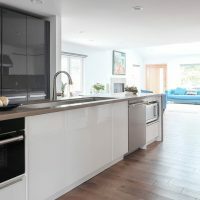 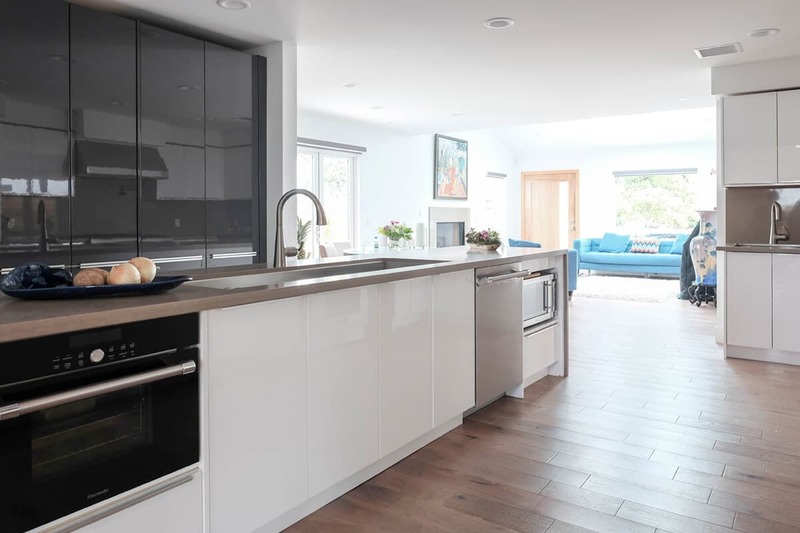 The simple gray of the Charcoal Gloss creates a stark contrast to nearly any of the busy chaotic patterns that can be found in most granite or quartz countertops. 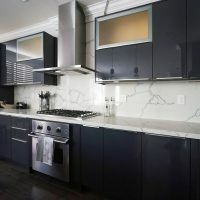 This contrast makes it easy to pair the dark Charcoal Gloss to a large variety of complimentary countertops and backsplashes. 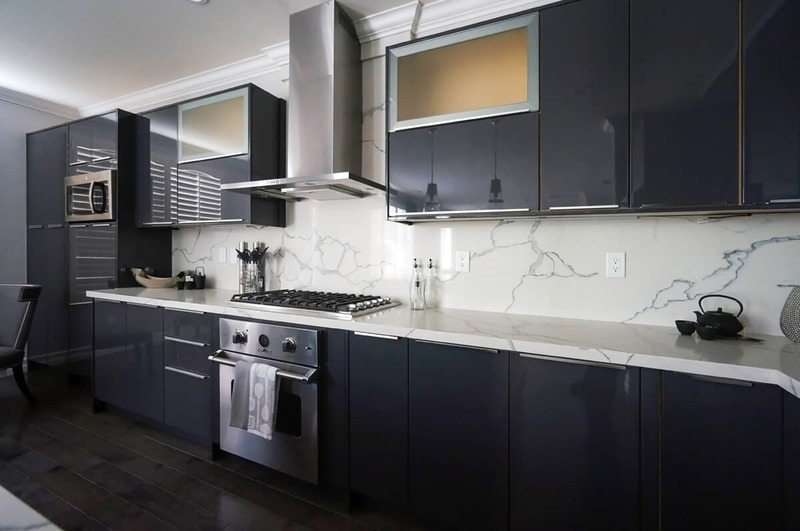 With the Charcoal Gloss, you have the option of having horizontal wall cabinets. 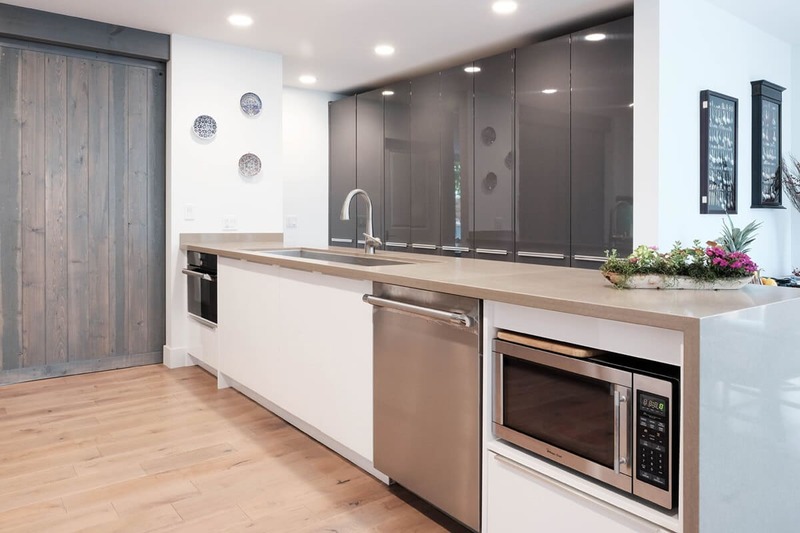 Doors on these horizontal cabinets swing upward rather than left or right; giving you more options and more flexibility for your kitchen. 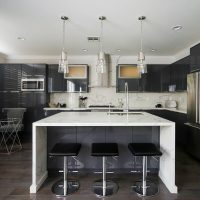 The Charcoal Gloss has the added benefit of Tandem drawer slides, soft close glides, and soft close hinges. 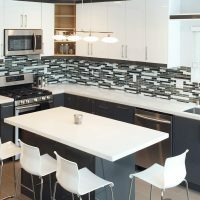 Like our White Gloss and Silver Gloss options; the Charcoal Gloss is made from a ¾ inch medium density fiberboard that has been covered in several thick coats to achieve its fantastic color as well as its glossy finish. 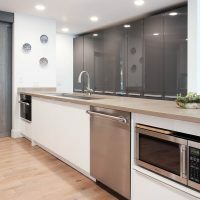 The result is a hard sturdy panel that has all the quality of hardwood cabinet doors while offering an incredibly smooth look and feel that you won’t find anywhere in nature.